State volcanologists detected three eruption episodes overnight as restive Mayon Volcano continued its heightened activity. In a report on Super Radyo dzBB on Sunday morning, Philippine Institute of Volcanology and Seismology (PHIVOLCS) Director Renato Solidum Jr. was quoted as saying that the eruption episodes were recorded beginning early Saturday evening and until early Sunday morning. PHIVOLCS data showed that the lava fountaining events were detected at 6:22 p.m.
Saturday; 12:45 a.m. and 5:36 a.m. Sunday. Due to thick clouds from bad weather condition around Mayon, the actual lava fountaining events were not seen but PHIVOLCS instruments have recorded the episodes. While Mayon had fallen silent for 27 hours before the series of lava fountaining starting early Saturday evening, Solidum said that the temporary silence doesn't mean that restive Mayon is losing steam, but possibly it has changed its eruption style. PHIVOLCS' lahar advisory was still up even as the agency advised residents to be vigilant, especially those living near river channels around the volcano. 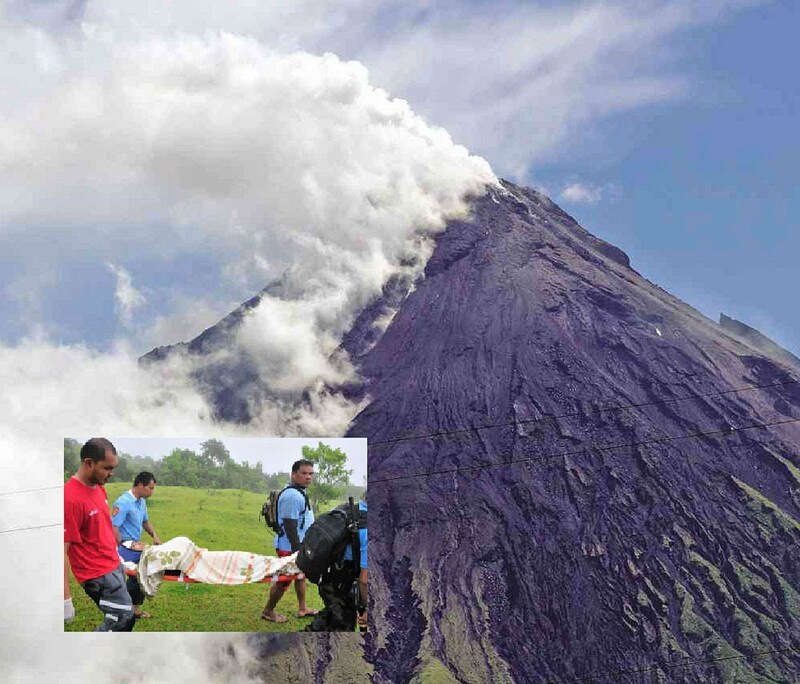 It said that some nine million cubic meters of pyroclastic material deposits are in the Buyuan and Miisi watershed areas; and another 1.5 million cubic meters in the western side of Mayon. Solidum expressed fears that a heavy lahar flow might occur any time as heavy rains have continued around the volcano. I really pray for all of you. So much disasters. Don't give up!